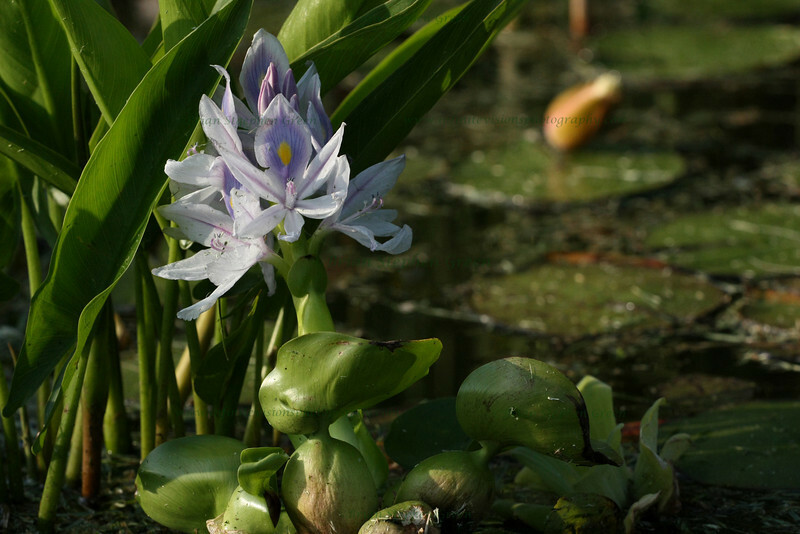 Visiting a local pond looking for some lilies and discovered a newly blossomed Water Hyacinth. The bullfrogs were everywhere as well so snapped a few of them. Been beautiful lately, but rains moving in today and possibly tomorrow. Heading out to upstate NY for a few days for a wedding (as a guest) so will catch up on everything when I get back. Have a wonderful weekend all! Lovely lighting and nice shot. You had a question about a picture on recent dailies I posted about why everyone was wearing blue. I took the picture at Niagara Falls and people going on the boat were wearing blue raincoats given for free, which quiet looked like some uniform ! Great shot, wonderful detail and light. A wonderful shot of a lovely flower! Thanks for taking this shot. I have these in my pond, but they have never bloomed. Wonderful mystical shot. Have a safe trip. Beautiful light on this lovely flower. Wishing you a great time while you are away.